Whether you need an embeddable database or a database for embedded systems, Raima Database Manager is the go-to solution. Our relational embedded database is optimized for high-performance throughput and low memory usage. RDM embedded DB can be used through a call from its extensive suite of API's including C/C++’s cursor interface, Java’s JDBC interface, and C#’s ADO.NET interface. It also supports the use of standard third-party tools through the ODBC driver manager. Today, businesses face the challenge of an accelerating pace of business on the edge, where real-time decisions on input from multiple devices are critical. Today´s organizations demand to have everything immediately. Raima Database Manager has been created for applications that need real-time and reliable data. With the increased deployment of flash and SSD storage in the embedded market space, minimized writes to the media are important to deliver high performance and, at the same time, make sure that the medium lifetime is extended. 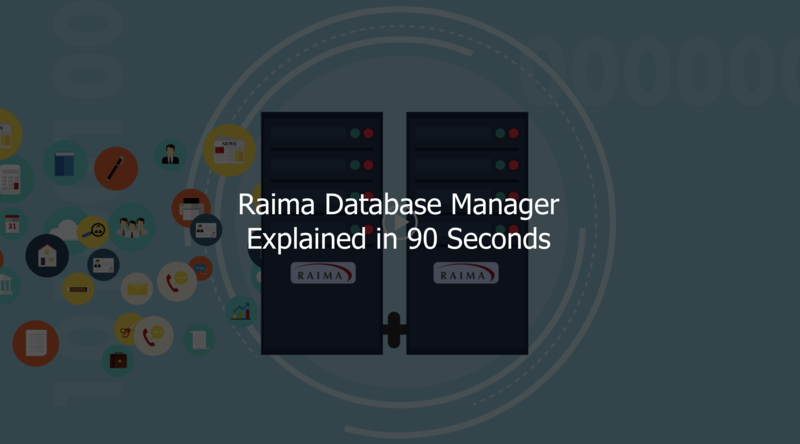 Raima is one of the few embedded database vendors that has this functionality built in. Raima´s modular architecture is designed to meet the complex architecture of future embedded applications. Raima´s SQL implementation has been designed for embedded systems applications. It provides a subset of the ANSI/ISO standard SQL that is suitable for running on a wide variety of computers and embedded operating systems, many of which have limited computing resources. RDM is an ideal solution for edge computing. Raima´s new release permits replicating edge information to the cloud, either to a different Raima database solution or to other cloud-based databases such as Oracle, DB2 and PostgreSQL. Many competitors can replicate only to other instances of their own database; here, Raima holds the competitive edge. Multithreading, multiprocessing, parallel operations with lower power consumptions are important to embedded applications for scalability reasons. Scalable and responsive, Raima permits data and applications to be placed near the source; it’s an IoT solution that addresses edge-of-the cloud needs. Develop once, deploy anywhere. Mix and match operating systems without little endian or big endian compatibility issues. RDM has support for all major RTOS like Embedded Linux, WindRiver VxWorks, WindRiver VxWorks RTP, WindRiver Linux, Green Hills Integrity, QNX Neutrino etc. Raima Database Manager is a very small footprint database. It needs only 10k of RAM and minimal CPU speeds to fully operate. Of course, with more power in the system, RDM will fully utilize it all to perform even faster but that is not required. RDM’s architecture delivers the highest performance while simultaneously safeguarding data and maintaining full ACID compliance. For in-memory databases, Raima uses a completely unique internal format to take full advantage of the direct memory characteristics of random access, zero latency, etc. If the database is on disk, Raima instead uses another uniquely designed and optimized format to take into consideration the latency involved with disk usage. The new architecture also hides hardware platform specifics such as byte ordering in the new file format design, freeing developers to focus on other details. Because Raima is automated to manage the database storage, it does not require administration to increase the size of the database or its underlying objects. Essentially all of the critical functions are self-managed, so customers do not require a dedicated DBA. It’s an ideal solution for users who don’t have high-level technical skills because so little administration and maintenance is required. Why Raima's Embedded Database on Edge Computing Devices? Raima´s maintenance-free, embedded database solution installed on edge computing devices provides the missing link to more efficient data collection and allows for quicker decisions. A database on the edge selectively moves computing, storage, communication, control and decision making closer to the network edge, where data is being generated, to solve the limitations in the current infrastructure, enabling mission-critical, data-dense use cases. Embedding a database on edge computing devices can allow clients to more efficiently work with a cloud back-end system like Amazon AWS by taking advantage of data movement technology within the database itself. Selective data can be synchronized in near real-time up into the cloud system (e.g., business analytics). This will be done only after the data has been computed and summarized on the edge, so only relevant data pass over the network to the cloud. Discover the benefits of applying RDM as a cutting-edge solution for IoT and IIoT applications.